If you are new to this series you may want to start at the beginning HERE. 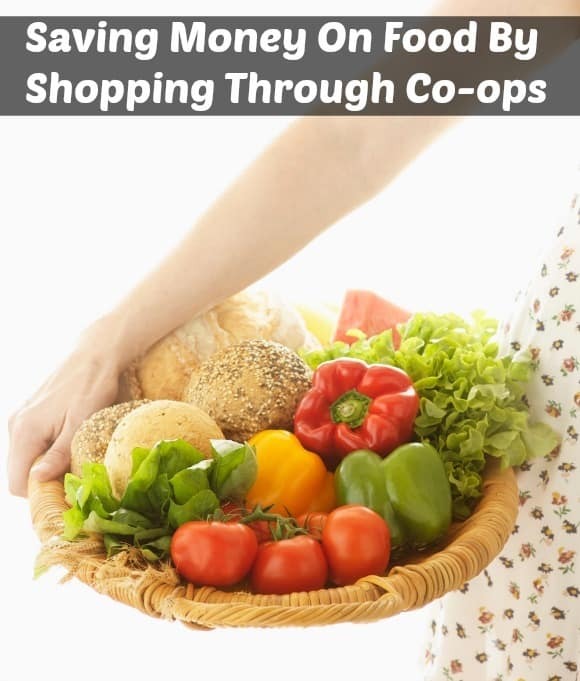 A Food Co-op is a way to start saving money on food while still shopping for it locally. It is a food distribution outlet that acts like a cooperative. That means the decisions about the production and distribution of its food is chosen by its members. So In a co-op you get to say what type of food you get if it is organic or non-organic, how it is grown and where it is grown. Food Co-ops are are wonderful for those who aren’t afraid to try to cook new things. They are also wonderful if you want the freshest produce for the cheapest price. For those who are not so comfortable with those things, they are a bit harder to use unless you are able to get past that. Even though stores buy in season items closer to the actual store, they still have to include transport time and shelf life into their decision when to pick. Food co-ops usually get their produce the day of or day after the produce is picked. so it can be the freshest and most prime time for picking. A lot of people say this makes the produce taste better. Most co-ops get you the produce at around 50% off the price the store. This is often cheaper then when you shop the sale prices at stores. This is also a great way to get your family eating a variety of healthy fruits and veggies while still saving money on food. During the summer there are lots of fruits and winter there is usually more veggies in your packs. When you get new things you have never cooked before you learn new ways to cook them and your family tries new items. Some co-ops even include breads. This is an added bonus if you have a co-op near you that includes bread, as this is a huge cost for a lot of people. It is also usually freshly made and very healthy. To find a co-op I would start on the internet look up “food co-op” and your city and see what comes up. Another good place to search is facebook as lots of local co-ops will have facebook groups or pages. Second, you could do a search Bountiful Baskets to see if your state and city are included in their program. This is one of the cheapest and best co-ops I have seen so if you can get in on this I would definitely do it! Third, I would ask grocers and food market participants if they know of any in your area. They may know if some if they participate in selling their produce to them. Lastly, I would ask everyone around you if they know of one. If they don’t you may want to get a group of neighbors together and start your own co-op. Do you have any tips for finding or Using a Co-op? Have you ever used one? What has your experience been? Be sure to check out other ways to save money on food! Thank you for letting me know. I fixed it now. Try it again and let me know if it doesn’t work.